Solid timber frame with antique walnut finish, stripe linen upholstered seat and back, hand carved frame with rose motive on fine cabriole legs. 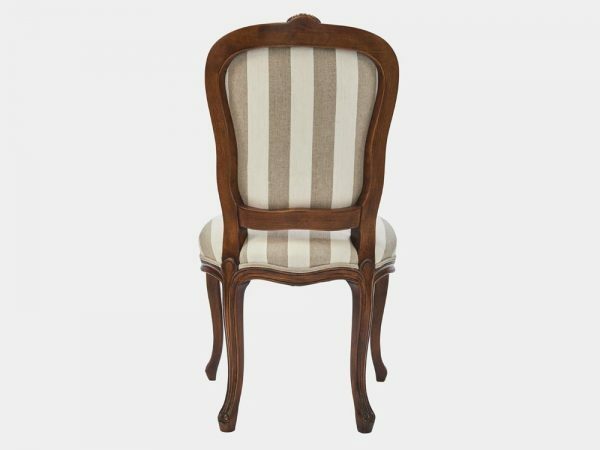 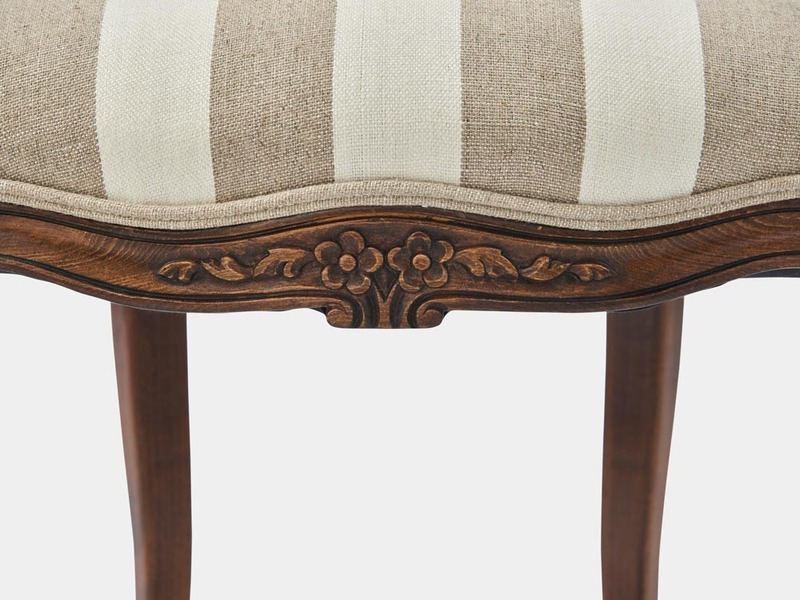 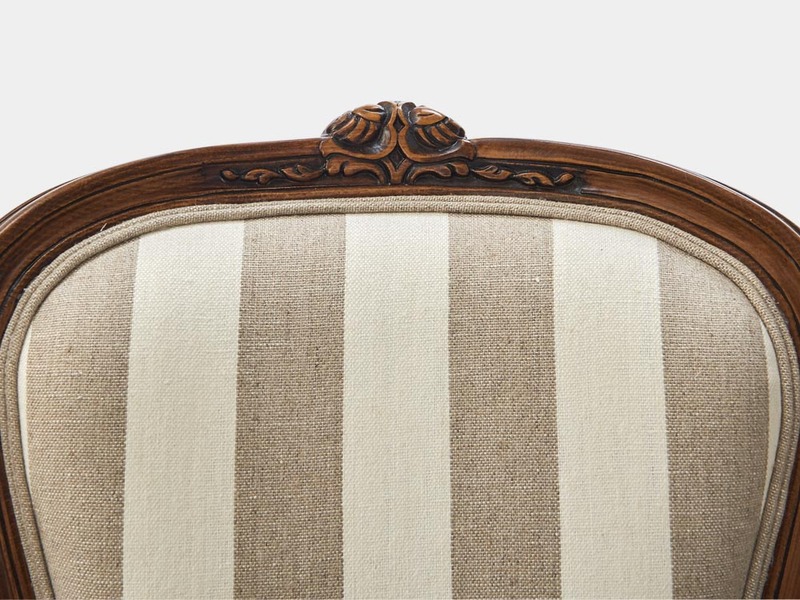 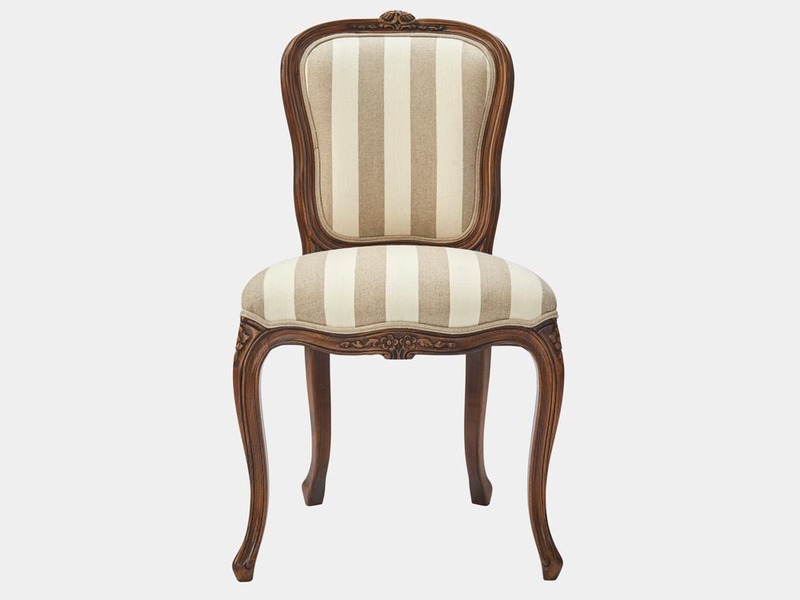 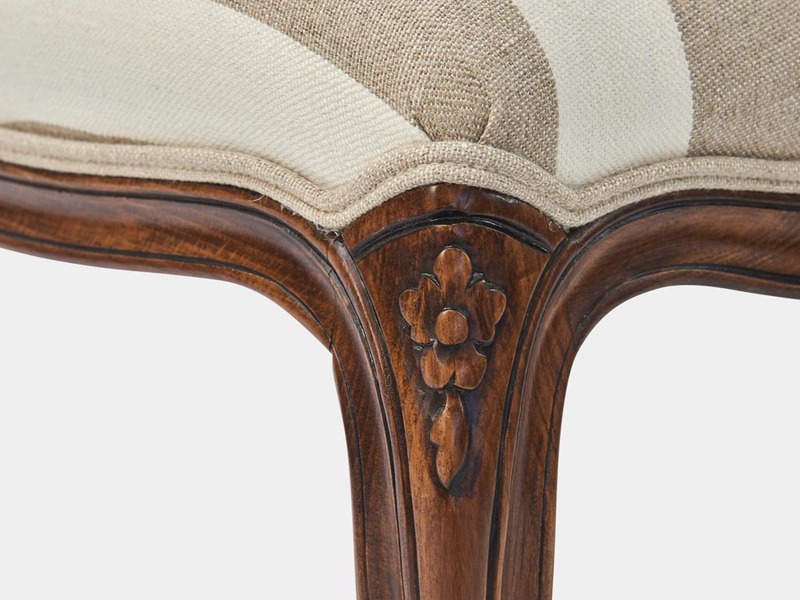 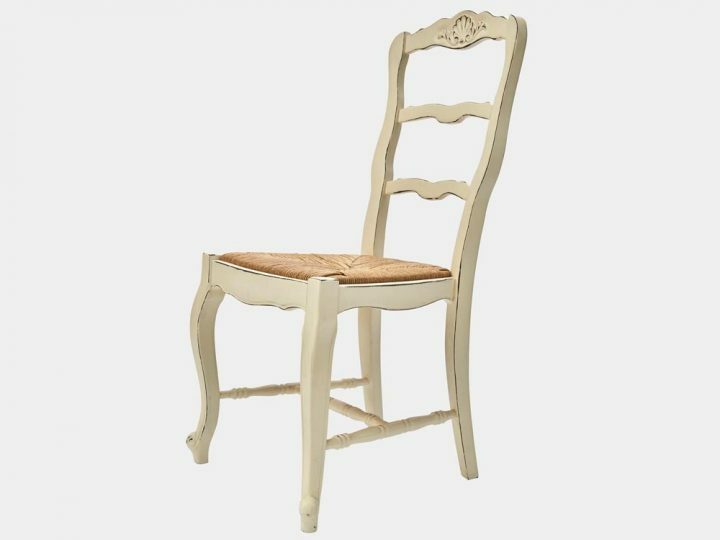 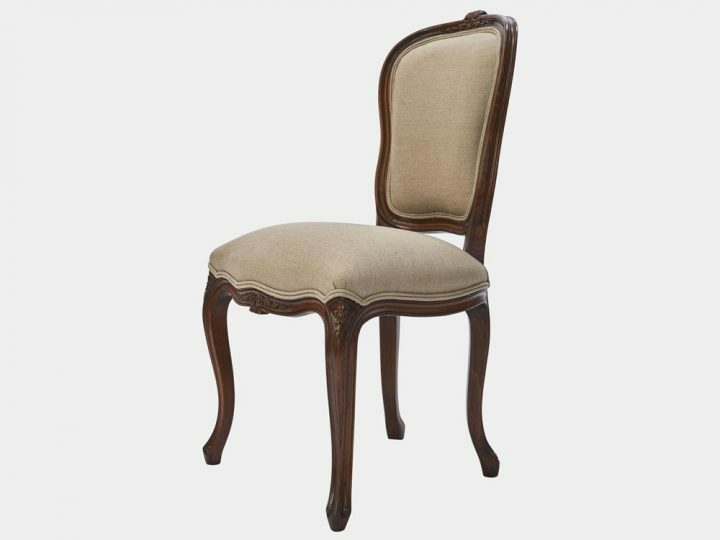 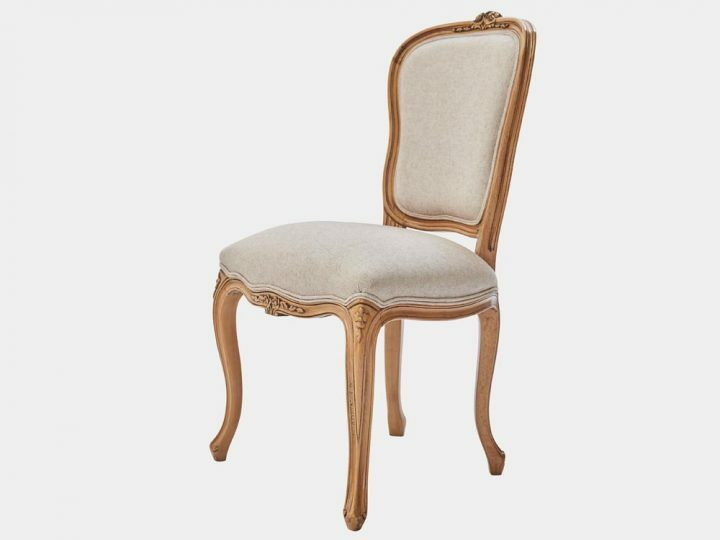 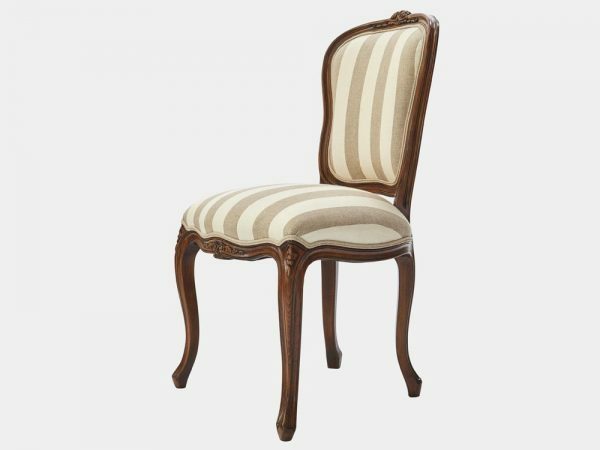 French Louis XV style dining chair with solid timber frame with antique walnut finish, stripe linen upholstered seat and back, hand carved frame with rose motive on fine cabriole legs. 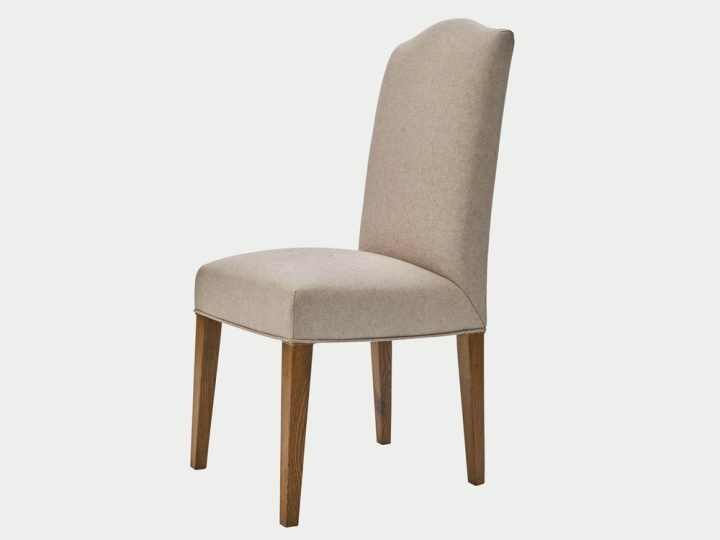 Also available in cherry wood and taupe fabric.